Deep down on the star studded ‘Reloaded’ undercard, Ammanford’s Leon Findlay (5-4-1, 2KO) is planning to upset Bristol’s prospect Tamuka Mucha (6-0, 1KO). 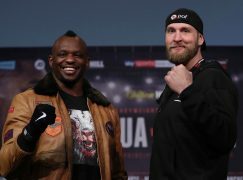 They will meet on Matchroom Sport’s show at Cardiff’s Motorpoint Arena on February 1st and although fully aware that he’s being brought in as the away boxer, Findlay wants to make the most of the opportunity. He said, “Personally, it’s definitely the biggest stage I’ll have boxed on. With it being on Sky and with Eddie Hearn, I’m on a big stage and I’m hoping to turn a few herds, to be honest. “I’m obviously hoping for the upset, I want to take the fight away from Mucha. I read a bit about him and in one article it said he’s a better prospect than Lee Selby which I can’t see but that’s what they’re saying, they’re bigging him up a lot. “I don’t know too much about him, I know his basic record and I’ve had a little look at him fighting. I know what I’ve got to do now when I get in there with him. “He hasn’t boxed anyone like me, anyone coming to win a fight. Looking at his record, I’ll be his biggest test to date and I’ll be there to come away with the win. I’m not there to be walked over.” The 29-year-old has had it hard since turning professional 16 months ago with more than his fair share of appearances in the ‘away’ corner but he insists that he wouldn’t have it any other way. He said, “I wouldn’t change anything, to be honest. I’m in there to win, y’know? I don’t want to do it the easy way. If I know I can outbox them on the back foot, I’ll still come forward and try win that way. It entertains the crowd and I think that’s what boxing is missing at the moment. I want to please the crowd and the judges at the same time. “I’ve had to take a couple of short notice, hard fights but those opportunities don’t come every day, so I’ve had to take them as they come. I’ve had set backs at the start of my pro career but I’m getting in to it and I’ve got to push the boat out and take what comes. “Look at my record, I haven’t taken any easy fights and I haven’t got a protected record but it is a winning record. 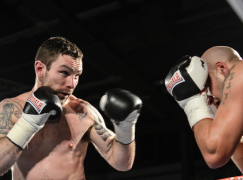 I’m going the hard route and I’ll get up the rankings quicker that way.” In preparation for February’s fight, Findlay has been sparring with Prizefighter champion Chris Jenkins at Ronnie Morris’ Cwmgors Boxing Club. He said, “It keeps me on my toes, he’s very sharp and he’s a quality boxer. I think I hold my own when I spar Chris, I can hold my own against anyone. 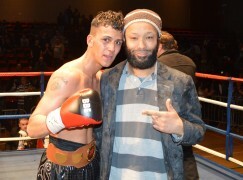 Chris is strong, he can box and fight, he’s shown that in Prizefighter. 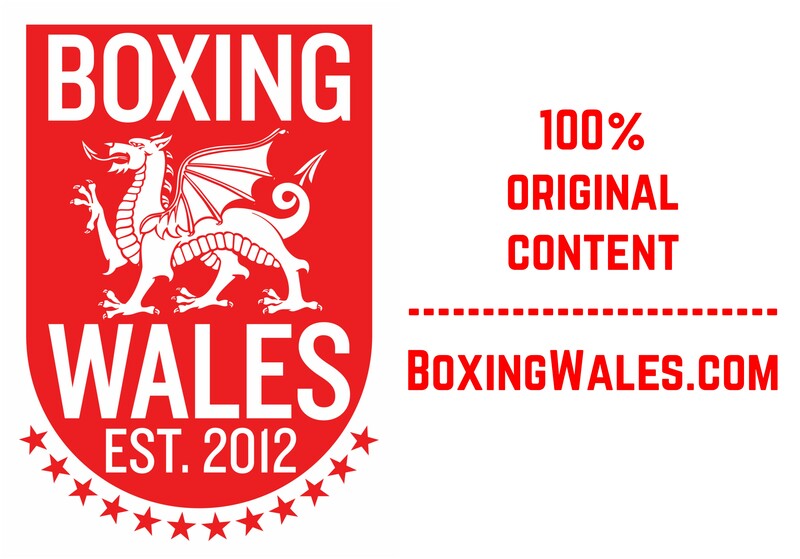 So, he keeps me own my toes and I’d like to think I keep him on his toes as well.” On March 8th, Jerome Samuels and Dai Jones meet again but this time the Welsh light-middleweight title will be on the line at the Cardiff City House of Sport and Findlay will keep a keen eye on it. 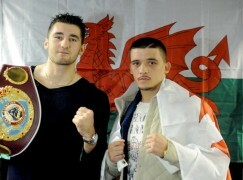 He said, “I’ll be looking at the light-middles in Wales after this fight and there’s a couple of boys there, especially the two boys going for the next Welsh title fight. I’d be happy to fight either of them for the title, we can look in to it after this next fight. “Jerome is coming back and Dai is a bit more of a journeyman now, he’s still not a total journeyman but I think I can take the title away from both of them and I’d like to face the winner in the future.” Tickets for ‘Reloaded’ Selby v Munroe are on sale now priced at £30, £40, £60 ringside and £120 VIP are available from livenation.co.uk or by calling 02920 22 44 88.